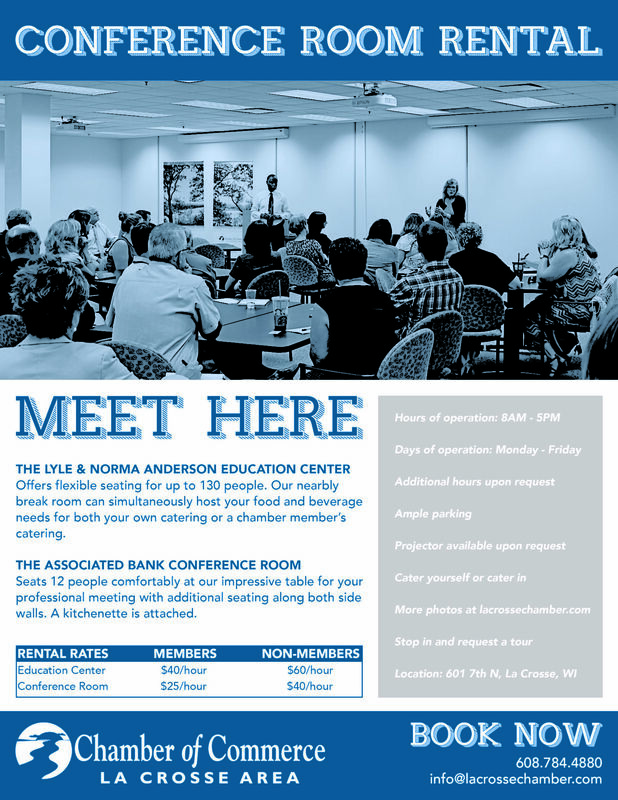 The Lyle & Norma Anderson Education Center offers flexible seating for up to 125 people. Our nearby break room can simultaneously host your food and beverage needs. The Associated Bank Conference Room seats 12 comfortably at our impressive table for your professional meeting with additional seating along both side walls. A kitchenette is attached. 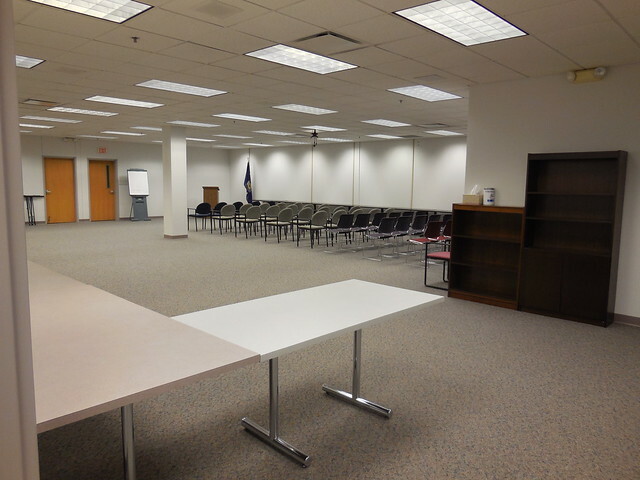 8:00 – 5:00 p.m. Monday through Friday before/after hours may be arranged if Chamber staff is available. After-hours rental is subject to an additional fee in addition to the hourly fee. Lyle & Norma Anderson Education Center: Prepay for our annual plan providing eight hours of use per month and receive one month for free.